Rights group calls on UN to investigate AP report that hundreds were arbitrarily detained and tortured in Yemen. Human Rights group Amnesty International has called on the UN to lead an investigation into allegations that the United Arab Emirates and its allied Yemeni security forces detained and tortured hundreds of people. In a statement released on Thursday, Amnesty called for an urgent investigation after a news report from the Associated Press news agency alleged that the UAE financed, armed and trained Yemeni forces responsible for grave human rights violations during security operations against the Yemeni branches of al-Qaeda and the Islamic State of Iraq and the Levant (ISIL, also known as ISIS). The AP documented at least 18 clandestine lockups across southern Yemen run by the UAE or by Yemeni forces, drawing on accounts from former detainees, families of prisoners, civil rights lawyers and Yemeni military officials. Hundreds of men were swept up in the hunt for al-Qaeda and ISIL fighters and subject to extreme torture – including the ‘grill’, in which victims were tied to a spit like a roast and spun in a circle of fire. “A UN-led investigation must immediately be launched into the UAE’s and other parties’ role in setting up this horrific network of torture,” Lynn Maalouf, the director of research at Amnesty International in the Middle East said. 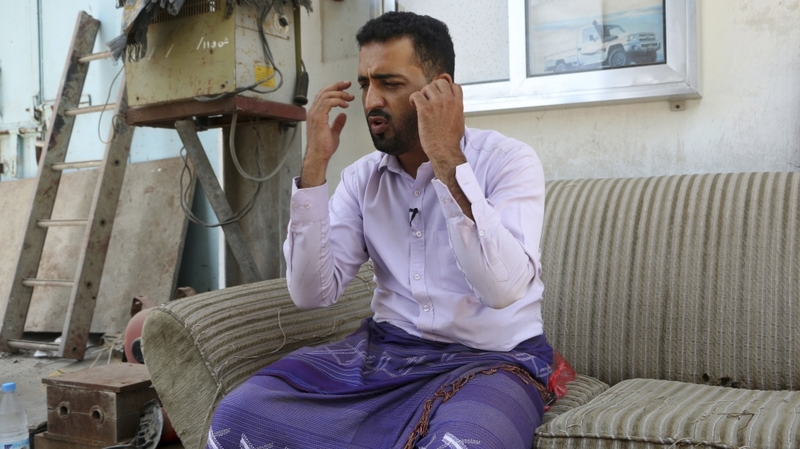 “We could hear the screams,” the man who was held for six months at Mukalla’s Riyan airport said. Other people who were released from the prison told AP of being crammed into shipping containers smeared with faeces. Senior American defence officials acknowledged on Wednesday that US forces had been involved in interrogations of detainees but denied any participation in or knowledge of human rights abuses. Interrogating detainees who have been abused could violate international law, which prohibits complicity in torture. “Allegations about US forces taking part in interrogations of detainees or receiving information that may have been obtained through torture must also be immediately investigated, Amnesty said. In a separate investigation, Human Rights Watch accused the UAE of backing the torture and disappearances of dozens of people. The UAE is part of a Saudi-led coalition formed to help Yemen’s government to fight the Houthis, a group of Shia rebels who overran the country’s north in 2014. The group has repeatedly rejected accusations that it wants to restore a Zaydi imamate – a theocracy that lasted for nine centuries until 1962.